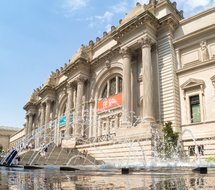 What's up in the Metropolitan Museum of Art This Summer? Whether you’re a longtime resident of the Manhattan apartments or not, there’s a good chance you’ve heard the name “Metropolitan Museum of Art.” Affectionately known as “The Met,” this is America’s largest art museum, and one of the many prides of the city of New York. It’s an institution unlike any other, home to thousands of pieces from throughout the ages, and a recipient of millions of visitors year after year. This year, like many before, The Met is doing big things for the summer months, beckoning even more art aficionados and lovers of culture to grace its doors. There’s going to be plenty for art lovers of all interests and age groups, so if you’re interested in taking a quick break from the heat to stroll the collections, you’d do well to scout out what’s going on beforehand. We’ve got you covered there, as we’ve got the lowdown on what’s going to be of interest throughout the next couple of months. Which Exhibits Should I See? Let’s take a look at these in a bit more detail, shall we? Like Life: Sculpture, Color, and the Body — This exhibit is taking a look at nearly seven hundred years of the tradition of sculpture, covering a period from the 14th Century onward, and exploring its featured works in the context of the “narratives of sculpture.” Throughout this exploration, they ask some poignant questions, chief of which being “just how perfectly should figurative sculpture resemble the human body?” While your mileage may vary on that particular query, what’s not in question is the skill of the artists on display. Rodin, Degas, El Greco, and many others will be the highlight of this exploration of amazing masterpieces. Visitors to Versailles — You’ve heard of the Palace of Versailles before, correct? As the Met puts it, the stunning grounds “have attracted travelers ever since it was transformed under the direction of the Sun King, Louis XIV,” and this exhibit highlights the experiences of the many notables who graced its confines. “royalty, ambassadors, artists, musicians, writers, scientists, grand tourists, and day-trippers,” all marveled at its splendor, and when you see the works on display here, you might find yourself with a similar level of respect for the famed location. History Refused to Die — The African-American experience is one of pain and struggle, but also hope and triumph. This exhibition “presents thirty paintings, sculptures, drawings, and quilts by self-taught contemporary African American artists,” all a representation of the American South during the 1900s, and emblematic of the period of black identity during post-Reconstruction through the Jim Crow era. Obsession: Nudes by Klimt, Schiele, and Picasso — This exhibit brings the focus to three of the school of Paris’ most well-known notables, showing their representations of the human form laid bare. There are some fifty works, all from the Met’s Scofield Thayer Collection, and they bring with them equal parts intensity, originality, and unbridled eroticism. For fans of such works, this is sure to a be a thrilling show. At least, when you’re living at places like Renoir House. Much like the museum itself, this fabulous rental community has its fingers on the pulse of what looks great. Step inside any of the elegant living spaces and you’ll see a level of design that rivals whatever other trendy space you’d like to compare it to. Modern kitchens, baths and barnwood-style flooring, plus a touch of flair that simply screams “New York” make this the place to be for the quintessential New York City living experience. Check it out, and see why Renoir House has made a name for itself as one of the finest places to reside within Manhattan’s beautiful Upper East Side.